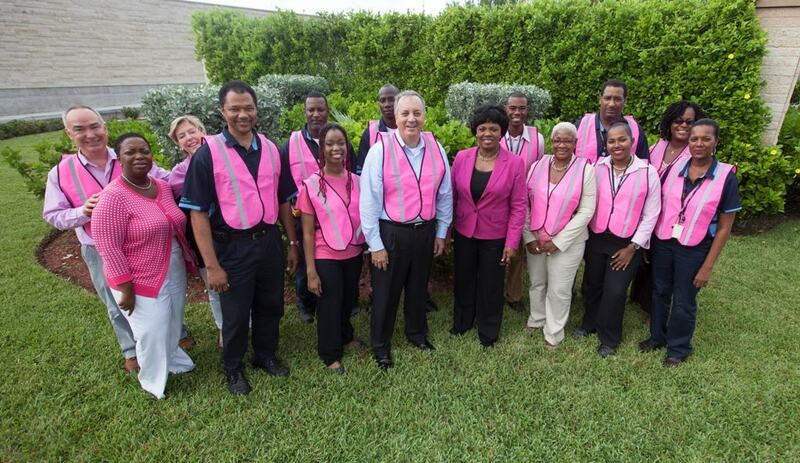 In a caring demonstration of support for breast cancer awareness, a group of Nassau Airport Development Company (NAD) employees are wearing pink high visibility vests while performing their duties in October. In addition to this encouraging display, other activities will be held to promote breast cancer awareness at Lynden Pindling International Airport (LPIA). These activities include a presentation on breast cancer diagnosis and treatment for all airport employees, courtesy of Doctor’s Hospital, and a PINK bake sale. As in previous years, employees from NAD and other airport agencies will also wear pink shirts as a part of BAF Financial & Insurance (Bahamas) Limited’s “Lee Denim Day” breast cancer awareness campaign every Friday of the month.